One day, I felt a hankering to hear the sample of Dmitri Shostakovich’s Quartet for Strings No. 8 by Kronos Quartet that was used in a Mr. Bungle track. There was just one problem — it was never used on a Mr. Bungle track. 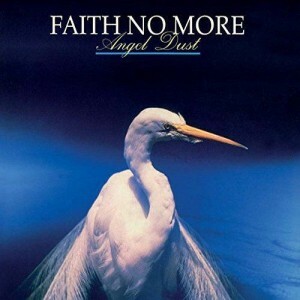 The sample was used on Angel Dust, the album Faith No More recorded after Mr. Bungle released its self-titled debut album. It was easy enough to confuse the two albums. When Mike Patton joined Faith No more, writing for The Real Thing had finished, and he was brought in to put on the final touches. On Angel Dust, Patton contributed from the outset, and he brought with him the maniacal, chaotic sound of Mr. Bungle with him. Patton tried to get Kronos Quartet to play on the Mr. Bungle album, but David Harrington instead commissioned a piece from the group. The sample of Kronos on Angel Dust was probably wish fulfillment on Patton’s part. I tried to love Angel Dust the way I had The Real Thing, and the avant-garde, shape-shifting writing on the album should have tickled that itch brought on by Naked City. For a while, I did. But it didn’t survive my first large purge when I moved my music collection from Honolulu to Austin. If I were honest, I really wanted Angel Dust to be The Real Thing, Part II, mostly because Jim Martin dominated The Real Thing. On Angel Dust, he was woven further into the mix, which suited the writing well but left his precision playing blunted. In interviews, Martin would reveal his ambivalence about the direction Angel Dust had taken, and looking back, I sensed it. Now, I actually dug Mr. Bungle, the album, but that was a lot of sound to take in at one time. What I didn’t want from Angel Dust was to be Mr. Bungle, Part II. And … that’s essentially what I got. The Real Thing and Angel Dust got the deluxe reissue treatment on the heels of Faith No More’s first new album in 18 years. I hadn’t planned on getting the deluxe edition of Angel Dust — because why would I get the fancy version of an album I let go? — but I still had a hankering to hear that sample. Angel Dust had also gained renowned since its release, and I wanted to see if the intervening years would change my opinion of the album. Yes, as a matter of fact, it did. More precisely, I listened to it without the baggage of The Real Thing hanging on it, and it’s pretty astonishing how Faith No More juggled so many elements without everything flying apart. As the album progresses, it seems at some point it should all break down, but the architecture of these songs had the structural integrity to withstand the whip-lash. Angel Dust got an unfair shake with me because it followed up a hugely successful — read: tuneful — album with something challenging and ahead of its time.